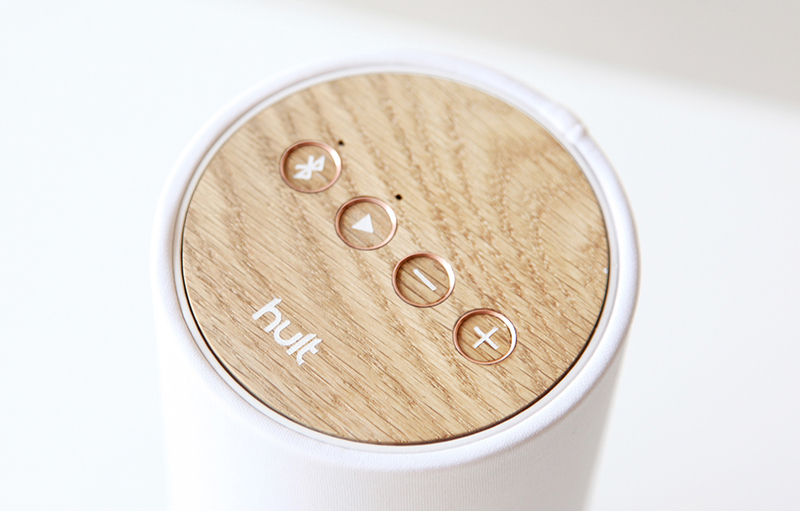 Hult Design’s Pavilion is a beautiful Bluetooth speaker inspired by organic architecture. 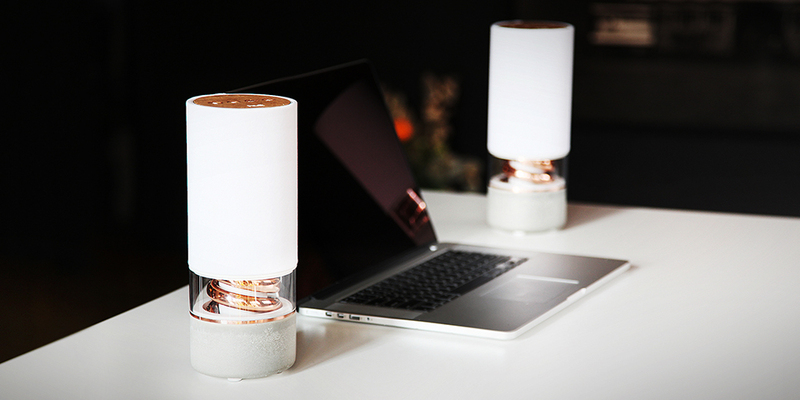 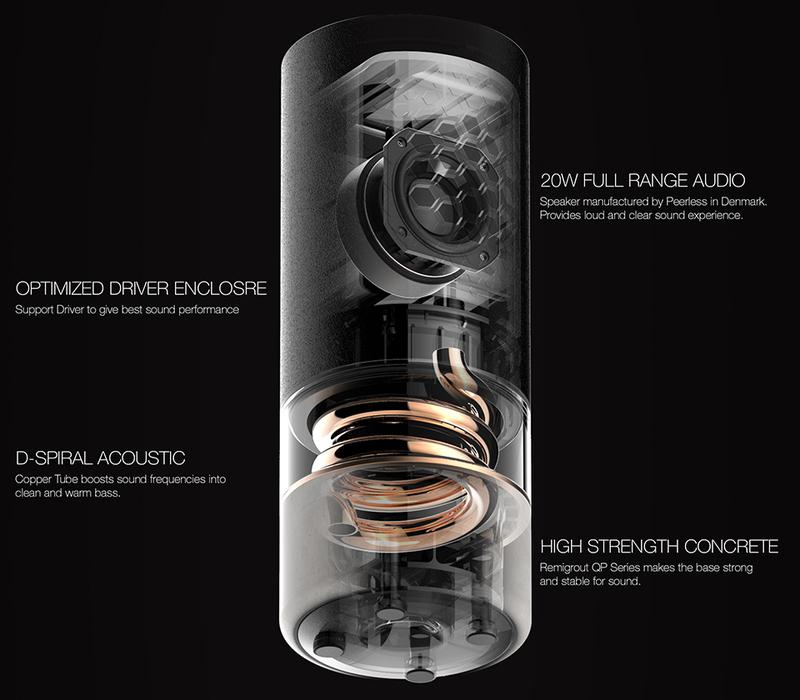 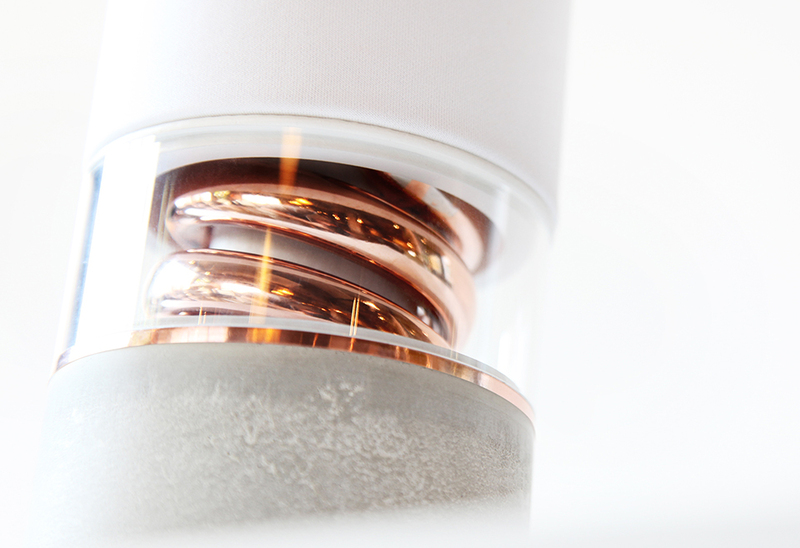 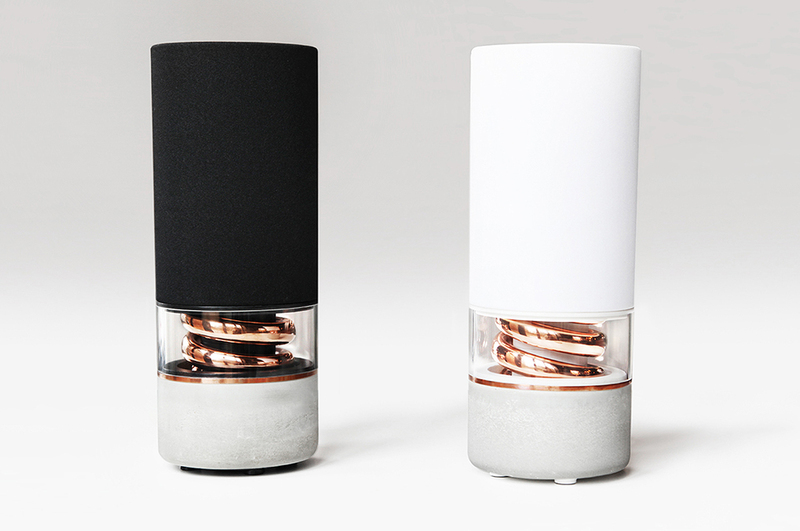 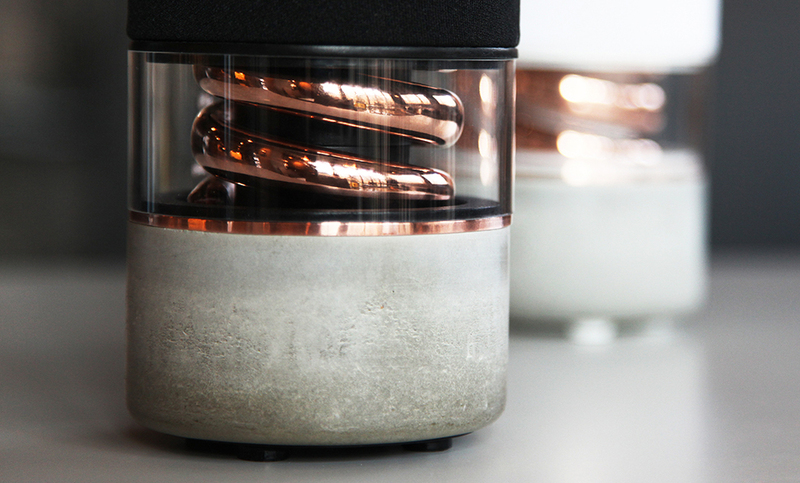 It has a 20W driver, a copper spiral reflex port and a concrete base to minimize vibrations. 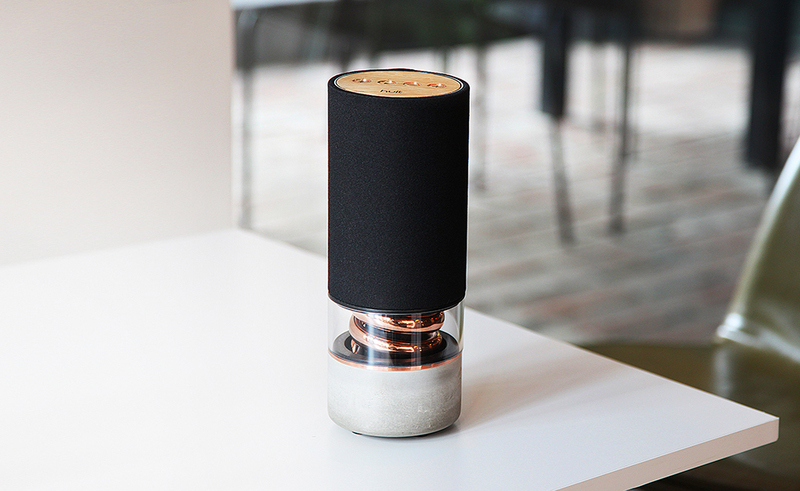 It also has an internal battery that lasts up to 5h per charge and a 3.5mm port.